Mysterious and enigmatic are two of the words most often used to refer to the Denisovans, an extinct lineage of humans most closely related to Neanderthals. The reason is unsurprising: fossils of these archaic hominins amount to just a few isolated teeth and some scraps of bone, all recovered from the eponymous site of Denisova Cave in the foothills of the Altai Mountains of southern Siberia. 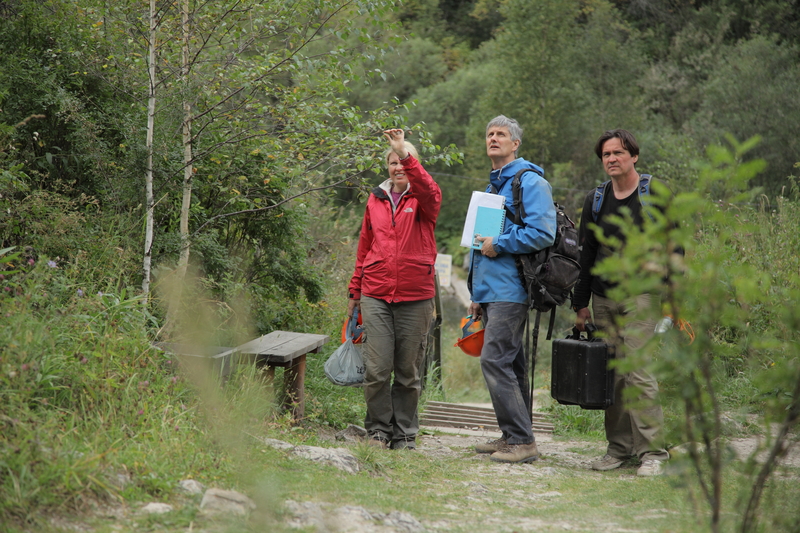 Discussing sampling strategy in the entrance to Denisova Cave. We know more about Denisovans from the DNA extracted from these fossils and the cave sediments than we do about their physical appearance, geographic distribution or timespan of their existence on this planet. 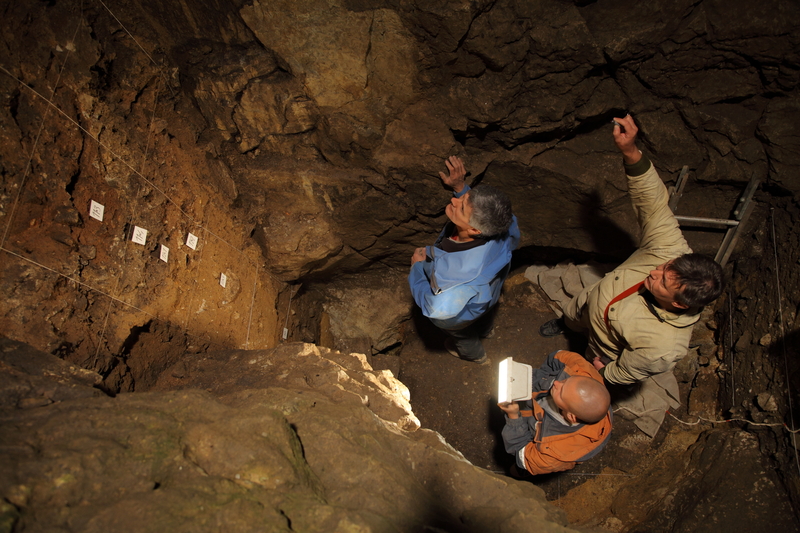 But two papers published today in Nature lift the veil on the last of these mysteries, placing a timeline on when Denisovans inhabited this cave—which was also occupied at times by Neanderthals and modern humans—and the environments in which they flourished and died out. The Denisovan fossils and associated artefacts range in age from around 300,000 years ago to about 50,000 years ago, a time interval that lies beyond the reach of radiocarbon dating. So, we used optical dating—which measures the time since sediment grains were last exposed to sunlight—to date the Pleistocene deposits in each of the three chambers of Denisova Cave. These ages were then combined with genetic and stratigraphic information in a Bayesian model to better constrain the ages of the isolated teeth and bone fragments, some of which appear to have been displaced after deposition. 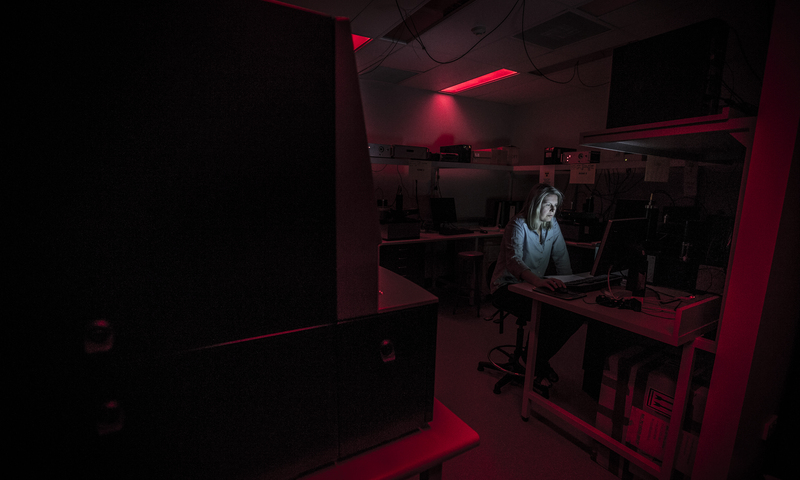 Contemplating data in the red-light optical dating laboratory. 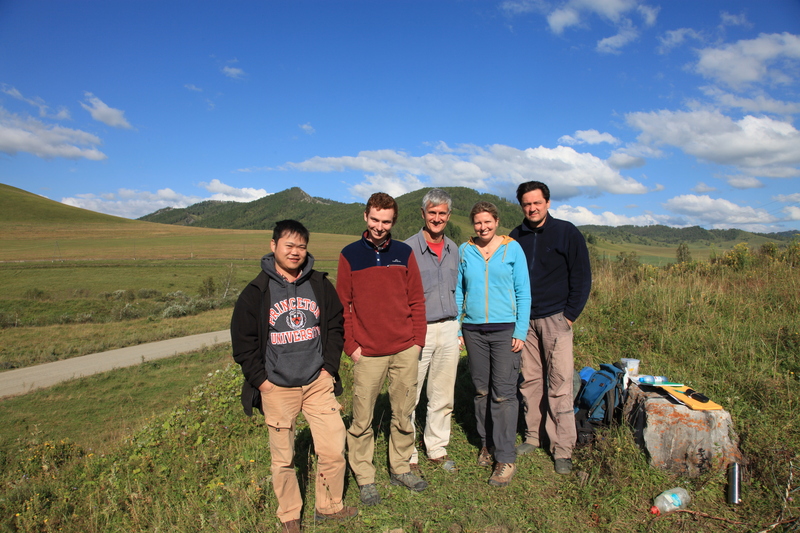 Our study represents the culmination of 7 years of field work with our Russian colleagues based in Novosibirsk and Moscow, and the development of new optical dating procedures for potassium feldspar, the mineral we used to date the deposits older than 100,000 years. But what brought a bunch of Australians and Russians together in the first place, and what has made this particular collaboration one of the most exciting and enjoyable of our careers? 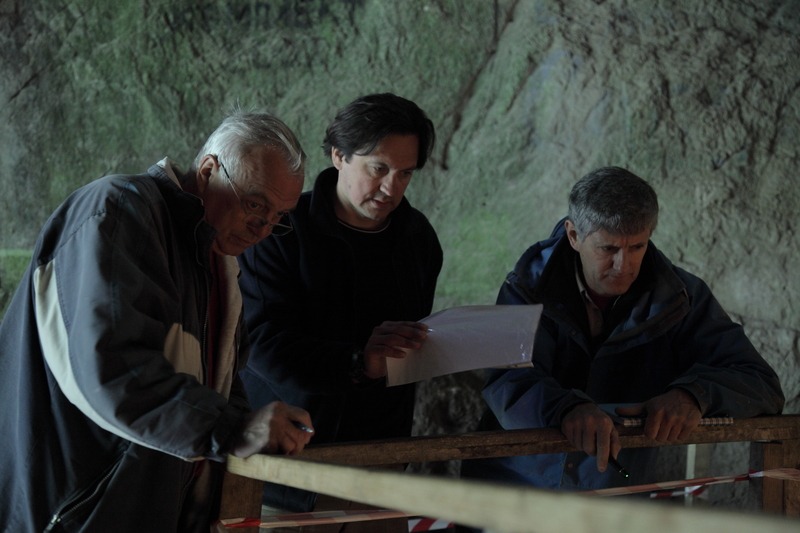 It started with an innocent-enough e-mail in late 2011 to archaeologist Anatoly Derevianko, then Director of the Institute of Archaeology and Ethnography of the Siberian Branch of the Russian Academy of Sciences in Novosibirsk, enquiring about his interest in developing a comprehensive chronology for the Pleistocene deposits at Denisova Cave. 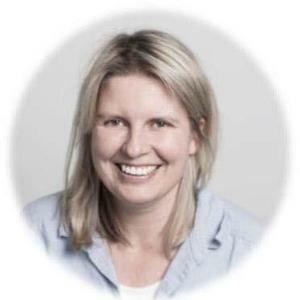 We were aware, of course, of the widely-publicised studies of Denisovan genomes, and it had not escaped our notice that the only people alive today with substantial amounts of Denisovan DNA in their genome are Aboriginal Australians and New Guineans, drawing a tantalising link between the histories of Asia and Australia. But what had escaped our notice was the phenomenal amount of detailed work—almost all published in Russian—already carried out on the archaeology, geology and environmental history of the site, which was first excavated 40 years ago. An encouraging reply from Anatoly was followed by his visit to Australian shores in early 2012, with translator Vladimir Vaneev, and our first field trip to Denisova Cave later that year. We were enchanted by the scenic landscape in the vicinity of the cave, but the cave deposits were not inspiring at first sight: some layers consisted mostly of fallen lumps of limestone from the cave walls and roof, but in between the rubble were grains of quartz and feldspar—just the minerals we needed for optical dating. Extracting them without also bringing down the entire profile was something of a challenge, but our archaeological colleagues Michael Shunkov and Maxim Kozlikin had the answer: a dustpan fixed to a long broom handle and a device we’d not seen before, but now swear by—a piece of steel pipe cut at an angle and used by Russian gold miners. Teetering at the top of a leaning ladder, we carefully sampled the profile wherever we could manage to wiggle the coring device in between the lumps of rubble, with Vladimir valiantly attempting to hold the ladder firm in the numbing cold of the cave. And did we mention that it all had to be done at night, using only a dim-red LED headtorch to see in the dark? Such measures are needed when dealing with the light-sensitive signals used in optical dating. Approaching Denisova Cave discussing cave morphology. Inside East Chamber discussing stratigraphy and sampling approach with Maxim Kozlikin and Vladimir Uliyanov, our Russian collaborators in charge of the excavations and geological interpretations. Discussing what was sampled where and why with (at left) Michael Shunkov, Director of the Institute of Archaeology and Ethnography in Novosibirsk and leader of the archaeological project at Denisova Cave. Then we waited for 9 months. Exporting sediment samples from mother Russia is not a speedy process. But finally the samples arrived in the lab at Wollongong. Our usual methods worked fine, up to a point, but not well enough for us to be totally confident about their application to the oldest deposits. So then began a process of tweaking existing methods and developing some new ones, led by our Wollongong colleague Bo Li and PhD student Kieran O'Gorman. These experimental improvements took a few years, ironing out niggly details along the way. During this time, we revisited the site on many occasions and refined our methods to collect and date further samples from the freshly excavated profiles. Finally, we had a comprehensive collection of more than 100 samples with reliable ages for all of the layers, which allowed us to construct a robust chronology for the site. The optical dating team. From left to right: Bo Li, Kieran O'Gorman, Bert Roberts, Zenobia Jacobs and Vladimir Vaneev. It all started coming together near the close of 2017. Writing synthetic, multi-disciplinary papers can sometimes be a test of endurance, with each researcher speaking a language known only to their immediate colleagues. But not so on this occasion. Drafts between us and our Russian colleagues flew back and forth, the time zone difference helping move things along a steady pace, along with two more visits to Denisova in 2018 to make the final changes face to face. It has undoubtedly been one of the most personally and professionally rewarding partnerships of our careers, for which we are indebted to our Russian colleagues for their hospitality and spirit of collegiality. 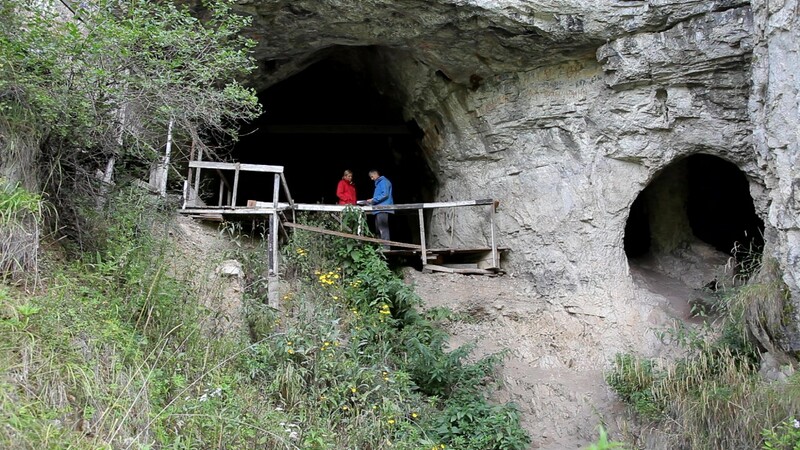 Our collaboration continues with investigations at other key sites in the Altai Mountains, as we attempt to decipher the history of Denisovans, Neanderthals and modern humans at this hominin crossroads in central Asia. 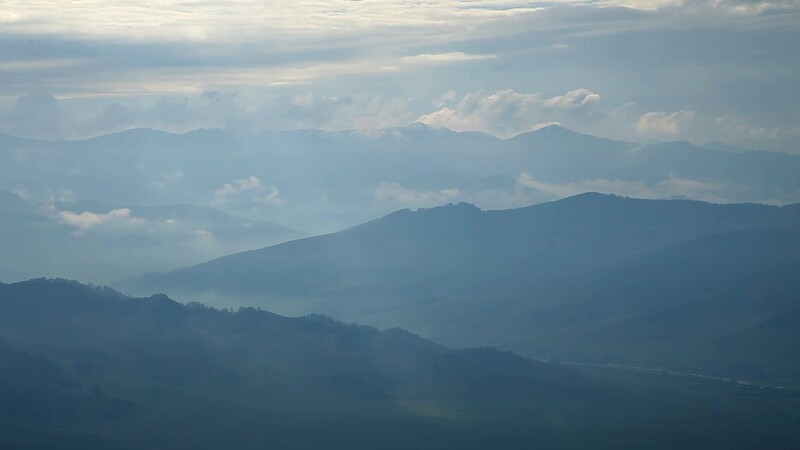 Ongoing research in the valley of the Denisovans may unearth future discoveries that will shed further light on the story of these and other archaic hominins. Thanks a lot for this article. We don't have direct information about how denisovans lived, but we can make a few reasonable guesses. We know denisovans were somewhat more related genetically to neandertals than to Homo sapiens, and probably they hadn't evolved the innovations typical for sapiens (otherwise they might have survived, but like neandertals they died out - except part of their DNA). Morphological innovations of H. sapiens were e.g. further reduction of pachyosteosclerosis (compared to H.erectus), stronger basicranial flexion than in neandertals, evolution of globular brain-skull (i.e. loss of platycephaly as seen in archaic Homo, e.g. H.erectus and neandertals), loss of mid-facial projection, longer legs esp. tibiae, etc. Independent lines of evidence (e.g. paleo-environment, isotopes, and esp. comparative anatomy: brain enlargement, ear exostoses, pachyosteosclerosis, platycephaly, platypelloidy etc.) suggest European neandertals were waterside omnivores, who lived in river valleys, wetlands and oxbow lakes but seasonally followed the river to the coast (google "coastal dispersal of Pleistocene Homo 2018 Verhaegen). Not unlikely, denisovans might have had a comparable lifestyle of waterside omnivores: an Eastern-Eurasian version of the Western-Eurasian neandertals.